Domestic wood pellet biomass boilers are a solution for home owners who are keen to reduce their home heating bills and lower their carbon emissions. A domestic wood fuelled heating system is an affordable way of providing all your home’s heating and hot water. So you’ve already made the decision to install a biomass system, but finding the right installer isn’t always as straightforward as it should be. If you are keen to install a domestic biomass boiler the installer must be qualified to fit the renewable technology, although fitting one is relatively easy and straightforward. Renewables Guide installers are experienced and qualified to install wood fuelled heating systems and all of our installers are certified with the Microgeneration Certification Scheme (MCS), an industry recognised quality assurance scheme. To make an informed decision it’s highly advisable to obtain at least two quotes – and three ideally – when you decide to start looking for prices and quotes from biomass boiler installers. Renewables Guide has installers keen to provide you with free no obligation quotes to install the green heating system. They will visit your home to undertake a technical survey before quoting you for the work. A biomass boiler will meet your full heating needs, unless other renewable technologies or a back up boiler are in place. So how do you go about choosing a biomass boiler installer? We thought it would be a good idea to talk you through a few key points which need to be addressed, and should make the process of finding an installer pretty painless. You might be wondering why we place so much importance on using only MCS certified renewable energy installers. For starters, it certifies that the product and the installation meets the highest standards, which provides the consumer with peace of mind. Choosing an MCS accredited biomass installer will also enable you to reap the financial rewards offered by the Renewable Heat Incentive (RHI) from April 2014. The Scheme, introduced by the Government on 9th April, will see owners of biomass boilers and other renewable heating systems get paid for producing their own renewable heating. For systems to be eligible for the RHI they will need to have been commissioned and installed from 15 July 2009 onwards. There are three types of wood fuel available to power your biomass boiler: pellets, chips and logs. The installer will be able to talk you through which source of fuel would be best to meet your needs. If you opt for wood chips you’re going to need a fair old amount of storage space. However, wood chip boilers are not suitable for heating a normal sized house because they don’t work effectively below 50kW. Most pellet and chip boilers use automatic fuel feeders. To install an automatically fed wood pellet boiler in an average size home to provide heating and hot water will cost between £14-£19,000 including VAT according to the Energy Saving Trust. That includes the installation, flue and fuel store. 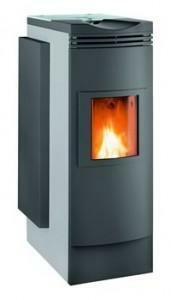 A biomass wood pellet stove will be cheaper, with prices starting at around £4,300. What size of boiler and output will you need? The boiler must be sized appropriately in relation to your property. We cannot emphasize this enough. If it’s over-sized you risk reducing the system’s efficiency which will obviously lead to higher running costs. Like any renewable energy technology, for it to perform efficiently you need to understand how to operate it. Biomass boilers are no exception. Settings and controls should be set to make sure you get the most out of the system. So ask the installer to show you how to operate the system. The installer should also provide you with an estimate of how much heat the biomass system will produce. Don’t forget to ask the installer for performance testing background information and calculations for system efficiency. The Energy Saving Trust estimates that a wood pellet biomass boiler installed into an average three bedroom semi-detached property could save the householder up to £580 on their annual heating bills. Will you need a large heat storage (buffer) tank? Check with the installer. It might be worth incorporating a large heat storage tank in your central heating system. It’s a way of maximising the efficiency of a wood fuelled biomass system. By incorporating a heat storage tank it will improve the way the boiler responds to fluctuating heat and hot water demand. Generally biomass boilers aren’t subject to planning permission, however the flue must meet building regulations. Permission might be required if the flue is more than 1m above the roof height and/or is going to be installed in a property that is in a world heritage site and a conservation area. The installer should be able to address any planning permission concerns you might have. But we recommend checking with your local authority too. What sort of product and workmanship warranties are provided? The biomass boiler installer must provide a warranty to support the installation. Your MCS installer is obligated in fact to offer a minimum 12 month warranty for workmanship. So check with your installer what sort of warranties they are prepared to offer. Typically most installers will provide a warranty for electrical and controls which lasts 12 months, with an additional two year mechanical warranty on top. Can the wood fuelled biomass system be incorporated into your existing central heating and hot water system? Boilers which burn logs and pellets are usually suitable to be connected to an existing system. Do you have a suitable flue? A flue is required to enable the combustion gases produced by burning wood to escape. A permanent vent is also a necessary requirement to provide sufficient air. Do you have sufficient space? Biomass boilers tend to be larger than conventional oil and gas boilers and they cannot be wall mounted either. A small wood pellet boiler should be able to fit into a utility room. So you’re going to need adequate space – not only for the appliance itself but also space to store the fuel. Do you have adequate access for fuel deliveries? Do you have a choice of fuel suppliers locally? You will need to make sure you’re going to have a reliable supply. Is your home well insulated? Before installing any type of renewable heating technology your home must be energy efficient, and that may mean having to improve insulation levels. The better insulated your home the smaller the system required, and the less it will cost to install. Have you checked with your local authority planning team to determine whether you require planning permission? The installer should carry out what’s known as a high temperature cut-out test. This is essential to check if fresh air supply is restricted in any way, which would cause the boiler to overheat. A smoke test may also be necessary if you have a flue without a powered fan. If kept in good condition, the biomass boiler should last for 20 years. Check with the installer as to what maintenance checks should be carried out. Some boilers will have built in self cleaning systems but you will need to empty the ash, probably just once a year. You can even use the ash as a fertiliser for your garden! Renewables Guide can provide you with a maximum of three quotes and it’s completely free. To obtain your free quotes from MCS accredited biomass boiler installers, fill out a quote form today.